The final stage of the Vuelta saw John Degenkolb win his fifth stage in Madrid, but there was no change overall and Alberto Contador (Saxo Bank Tinkoff) ran out the overall winner of a tumultuous Vuelta. The final (ten) 4.3 kilometre laps of honour for the 175 riders left in a super-mountainous Vuelta were enlivened by a six rider break – take a bow the irrepressible Kevin Seeldraeyers (is the Astana rider looking for a contract?) Mikel Astarloza (Euskaltel), Serguy Lagutin (Vacansoleil), Javier Chacon, Sergio Carrasco (both Andalucia) with Javier Aramendia the inevitable Caja Rural escapee. In fact, it wasn’t the first time that these various riders had taken a flier off the front of the bunch, so fair play to them. There are a few riders finishing the Vuelta who’ve never seen anything but the arse of the rider in front of them for three weeks. But there were too many teams looking for a bunch gallop and the sextet never got much more than 30 seconds on the 4.3km finishing circuit around Madrid. Not the least of those squads looking for a bunch gallop was Argos Shimano. 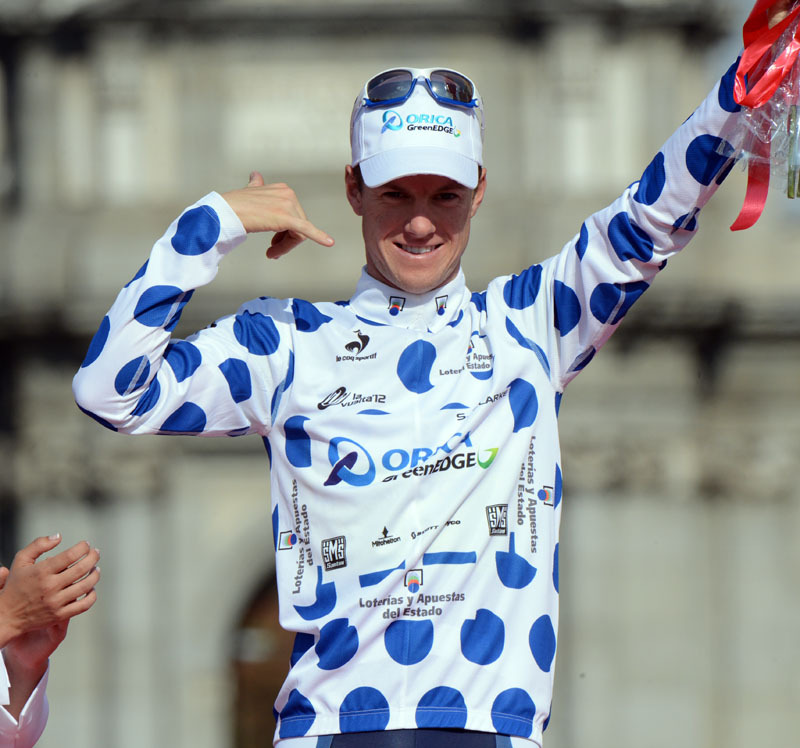 Before the stage start, John Degenkolb the stand-out sprinter of the Vuelta said he was “really motivated to get five stage wins in a Grand Tour,” so there was no way that Argos Shimano wasn’t going to make one final big effort for the in-form German. By the time there were two laps to go, Argos Shimano, Rabobank, Liquigas and Sky put some men in the front to let Saxo Bank enjoy the finale in relative comfort. 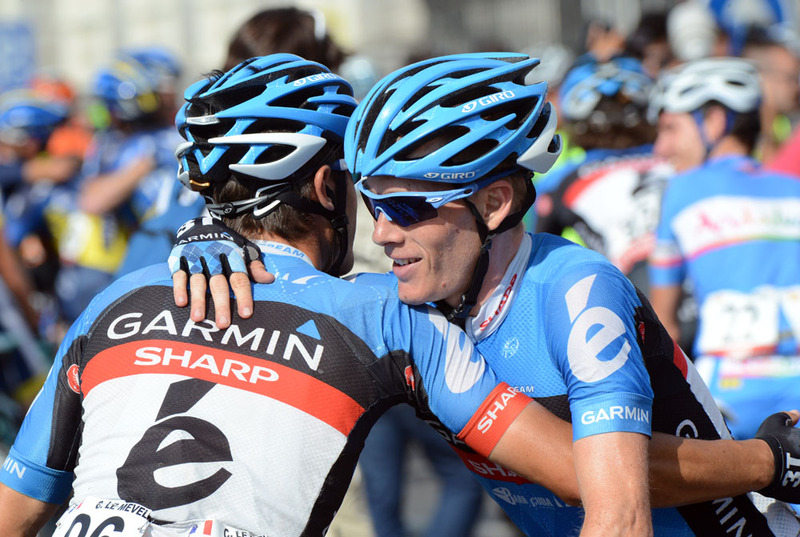 Finally it came down to Argos Shimano in the impressive shape of Koen de Kort leading out Degenkolb with Bennati and Viviani on his wheel and, even though the German led out from a long way, neither the Italians could get round him. 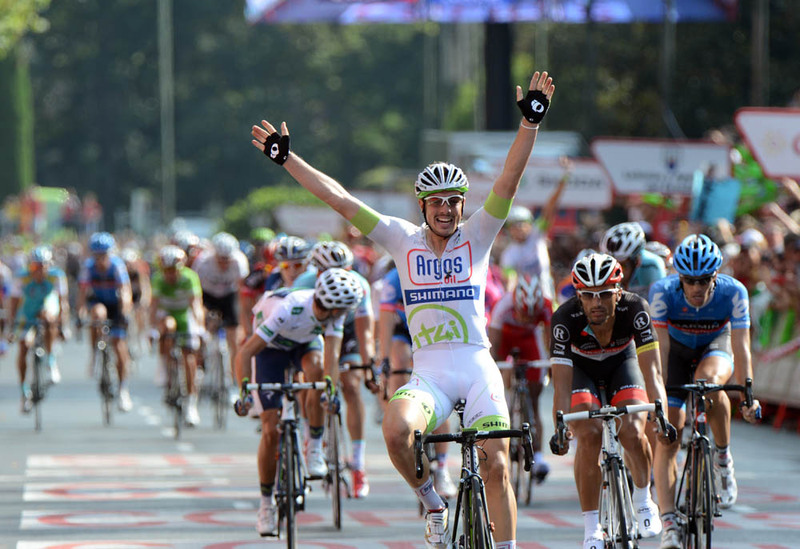 After the line, Degenkolb was delighted and breathless. “I can find no words. Maybe there are none. Just… woah… I’m done. I’m 100 per cent satisfied and there’s no better way to go home now,” said Degenkolb, noting also it was time for a beer. For Joaquin Rodriguez, his Vuelta misery was complete when Valverde ‘stole’ not just the points jersey from him with his sixth place sprint, but also the Combination jersey too. From leading everything to winning nothing in the space of four days – that has to hurt. Might he gain some consolation at the upcoming World Championships? 10. Gorka Verdugo (Spa) Euskaltel Euskadi all same time.